Roasting increases the subtle sweetness and aroma of the black soybean in the tea. 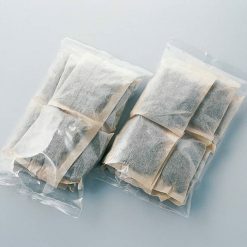 It is a good, palatable tea and is very popular. Enjoy the effect of “aromatherapy” from its fragrant scent. 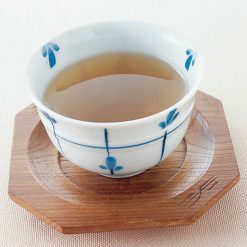 We roasted the whole black soybeans to make this fragrant tea with a toasty aroma. Black soybean tea contains no caffeine and has numerous health benefits. It is rich in anthocyanins and isoflavones, which work great for anti-aging, weight loss and mitigating symptoms of menopause. Isoflavones work similar in a way that Estrogen (female hormone) works and it lowers menstrual irregularities and cramps, enhances breast growth, and works to prevent osteoporosis as well as breast cancer. It is also said to whiten skin, vitalize tired eyes and improve eye sight. This product contains black soybean (China). This product is not suitable for anyone with allergies to soy. Origin of ingredients: black soybean (USA). Prepared and packaged in Japan.